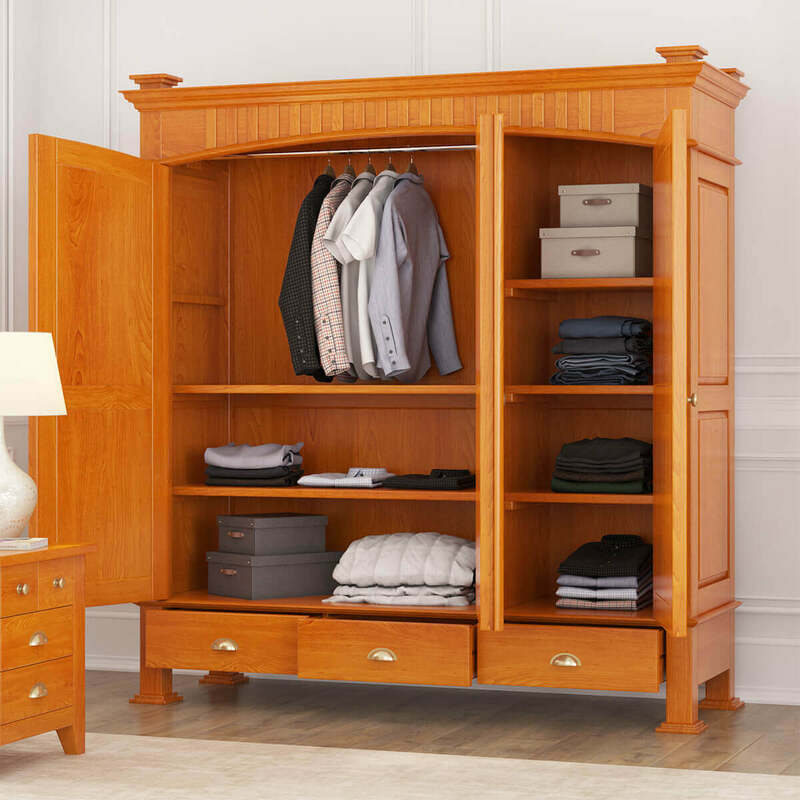 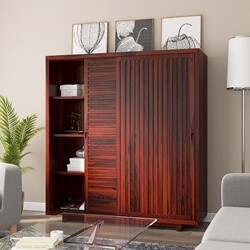 Need a large, stylish wardrobe to facilitate all your storage woes? 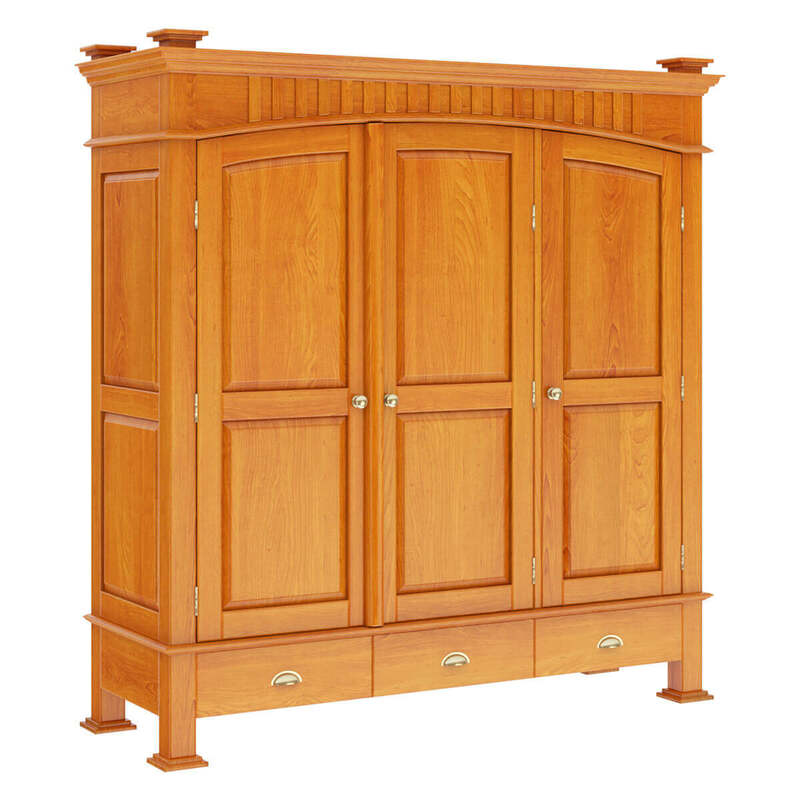 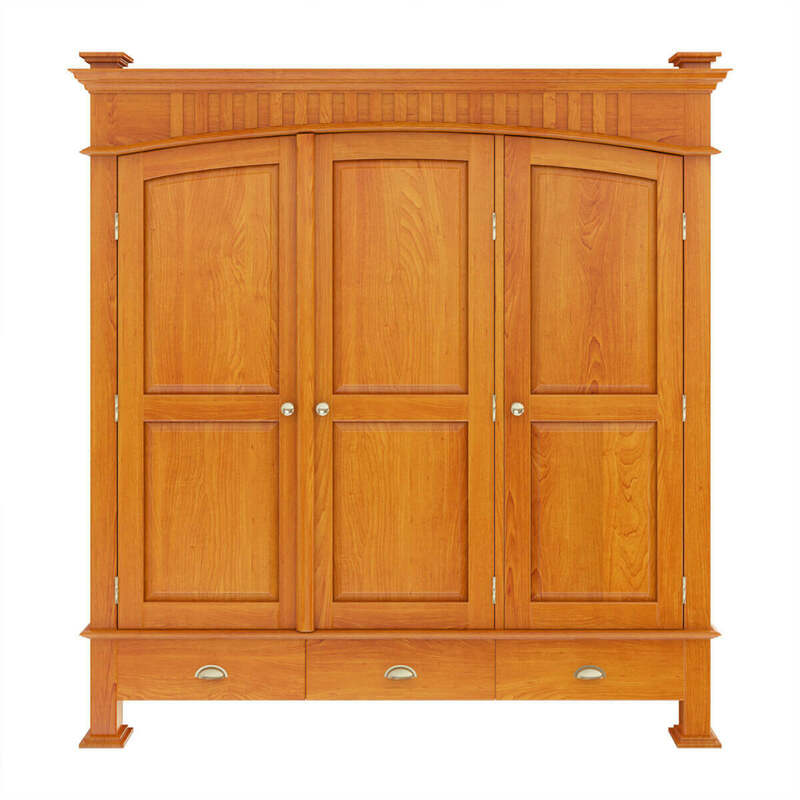 Take a look at our Longport Traditional Style Mahogany Wood Large Armoire 3 Door Wardrobe. 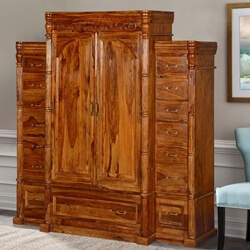 Featuring a large, trendy physique that has been handcrafted fully from solid Mahogany wood, this large rustic wardrobe armoire redefines the traditional aesthetic in the best ways. 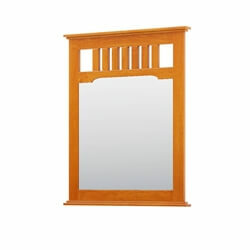 Topped off with a wooden cornice with 4 classical style posts at each corner, there is a large elliptical arch carved at the head. 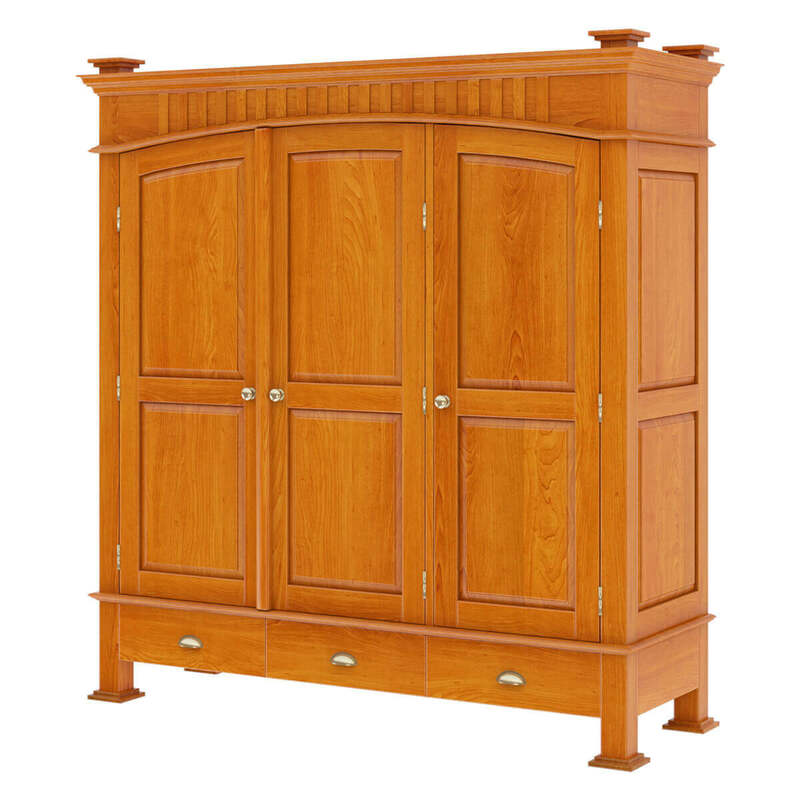 There is an enormous double-door wardrobe in the middle, and a single-door closet at the side. 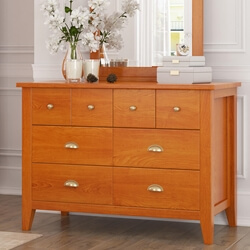 Three equal-sized drawers with hand-wrought metal hardware sit at the bottom. 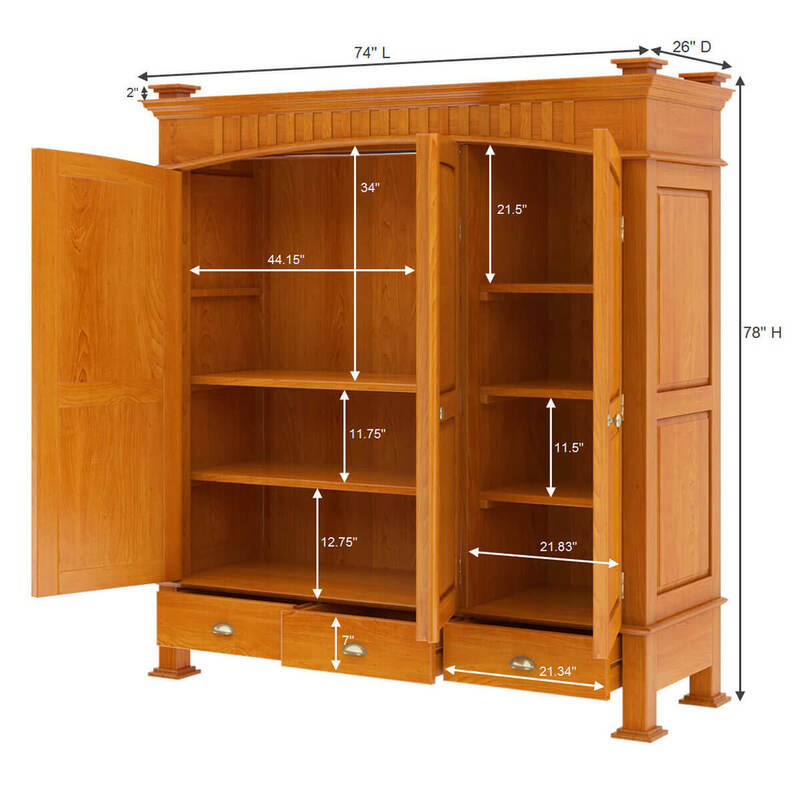 The exterior is capped off with rectangular feet with trendy platforms at the base. 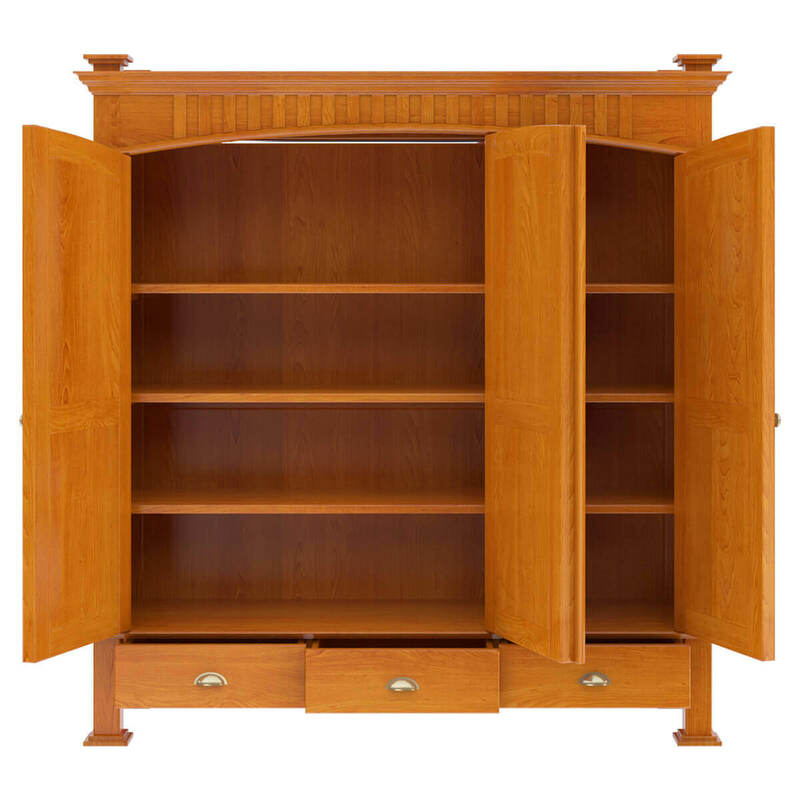 The interior of the 2 door wardrobe features 2 fixed shelves at the bottom half and can be used to store all sorts of items – i.e. 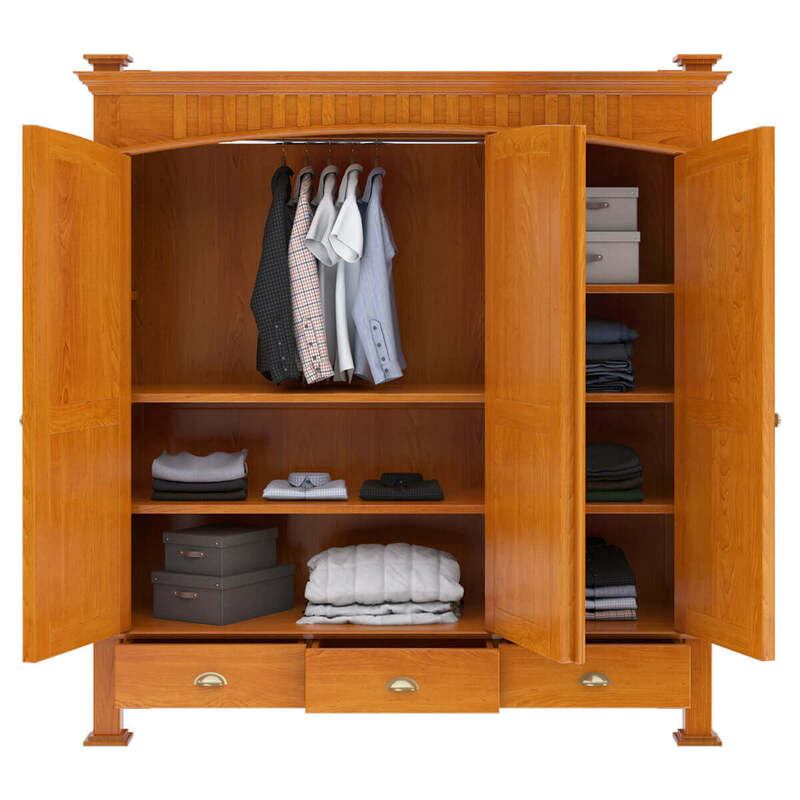 folded clothes, shoe boxes, accessories, etc while the top section comes with a steel rod to hang all your clothes. 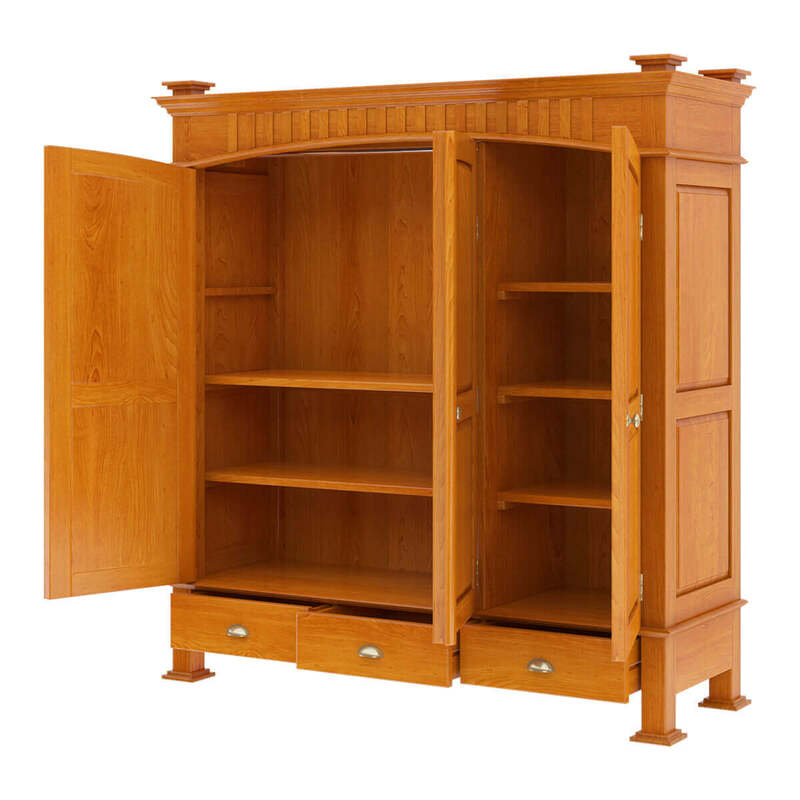 It also comes with a removable shelf, which you can use when not hanging clothes. 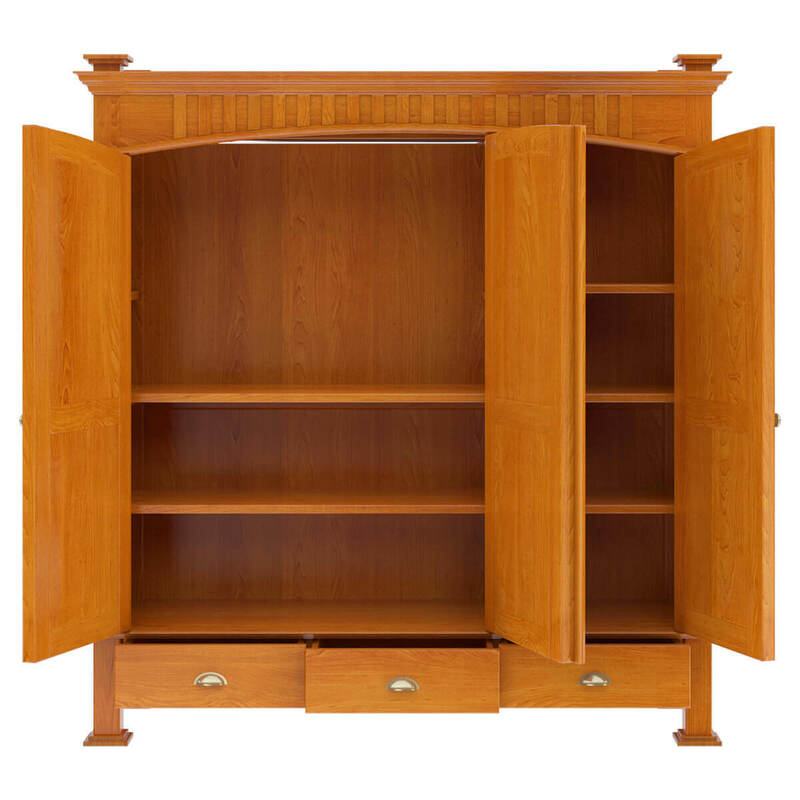 The single door section features 4 equally divided fixed shelves where you can keep other folded laundry, document boxes, and other items. 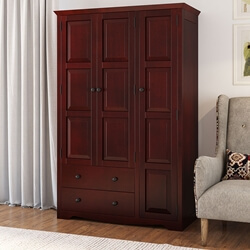 The light wood grain of this solid Mahogany wood large wardrobe armoire is quite gorgeous and complements its visual versatility quite well. 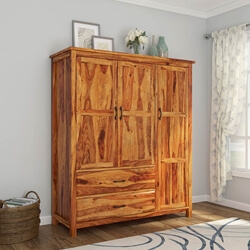 It can also be set up in various interior design styles, likely: contemporary, rustic, traditional, transitional and more. 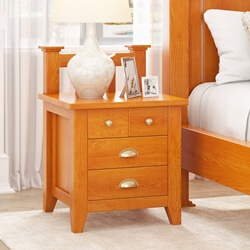 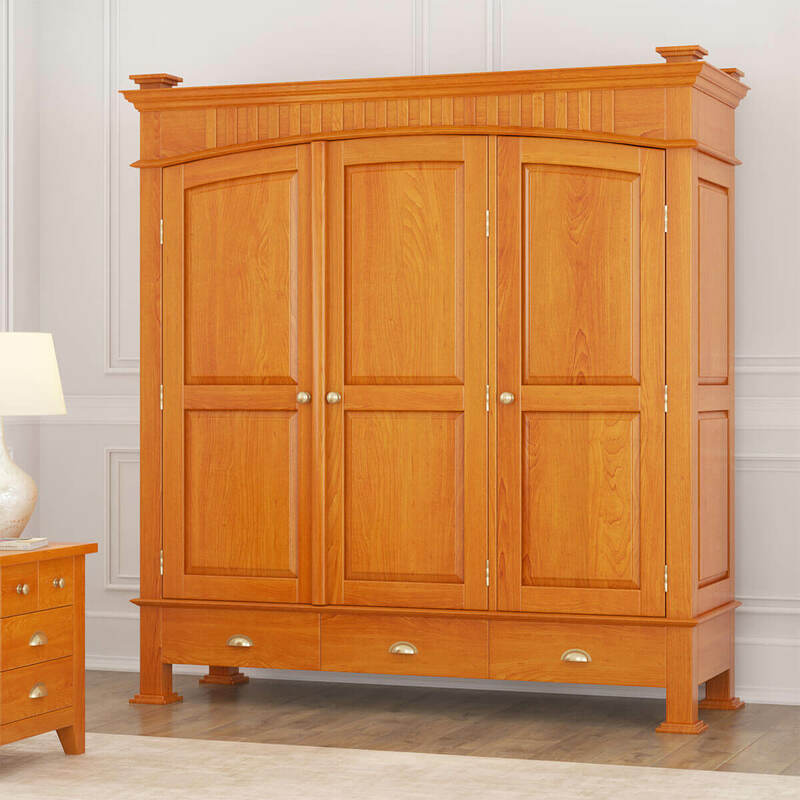 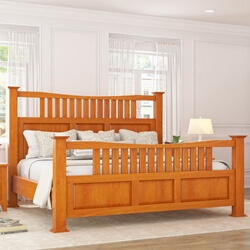 However, it would look the best when paired with the platform bed, 2 nightstands, 8-drawer dresser, and the mirror frame from our Longport Traditional Style Mahogany Wood 6 Piece Bedroom Set.